Chapter one ‘start’ posits that lean manufacturing entails the identification of value-creating processes and reducing waste. Such a mentality is spurred by thinking processes that draws on the knowledge and skills of workers and estimating progress using validated learning metrics. Lean startups adjust their activities using a feedback loop characterized by the build-learn-measure technique, which eliminates assumptions and creates learning opportunities. ‘Define’ chapter views the firm as an innovation factory, which ought to use lean startup techniques that lead to disruptive innovations. Further, it elaborates on the aspect of culture and systems that should be established for teams to work better instead of playing Caesar and giving ideas either thumbs up or down. This is the essence of strategy, which is created to improve products and operations in line with the vision of the entrepreneur. The ‘Learn’ chapter established the importance of learning to businesses and especially validates learning developed through experimentation. Indeed, startups are grand experiments whose result is seen from the response of the customers and the synthesis with the vision. Thus lean thinking entails giving value to customers only irrespective of the assembly or production of the products. The ‘Experiment’ chapter indicates that clients are used to test the effectiveness of strategies and therefore helps the entity to build sustainable business. The experiments entail an initial hypothesis which may either be a value hypothesis on the value of products to the users or a growth hypothesis on the customer response. The outcomes are hence used to improve service delivery. 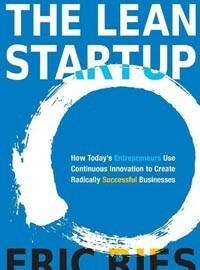 The ‘leap’ chapter entails the testing of various assumptions that entrepreneurs make around their strategies. The initial strategies are based on intuition and therefore subsequent strategies must emanate from calculated processes achieved through experimentation. Startups should establish plausible hypotheses on their customers and test them to ensure that their products meet the needs of their target clientele. The ‘Test’ chapter indicates the use of Minimum Viable Product (MVP)as the easiest way in establishing the feedback loop. The MVP serves to test hypotheses and therefore contain features useful for validated learning. Since the learning process is so vital, product design and quality may change and therefore MVPs can be established using different names in protection of brands. The ‘measure’ chapter elicits the accounting for innovation criteria, using action metrics such as action-ability, accessibility and audit-ability of innovations. The testing is basically done with customers. This may entail offering different versions of the product, using cohort analysis which estimates the clients’ response to products as a group or estimating the results with addition of new features to existing products. The ‘pivot or persevere’ chapter indicates that pivot requires startups to maintain what has been learnt as changes are made to the strategy. Hypothesis testing in any entity is revisited when the entity pivots, which is meant to increase the volume of validated learning. Regular pivots are vital leading to development that brings out the desired results from the expectations of the entrepreneur. The ‘batch’ chapter emphasizes on the batch size indicating that smaller batches are more preferred because they increase efficiency of processes. As a metric for determination of the quantity of work moving between stages, the batch size determines the speed of the feedback loop. Most entities with large batch sizes have turned out to be death spirals, with small batch sizes noted in companies like Toyota. The ‘growth’ chapter posits that sustainable growth is determined by the level of advertising, repeat businesses, side effects in terms of either exposure or the status of the product and finally word of mouth. The engines to activate growth include the payment by clients, return customers and normal customers spreading the influence of the products that fit a certain market. The ‘adapt’ chapter indicates that adaptive entities adjust their operations to the prevailing situations. Further, an optimal working pace should be established because too much speed could elicit problems. The chapter indicates that problems are diagnosed in five whys to the affected groups and further postulates that such problems result from bad processes as opposed to bad people. The ‘innovate’ chapter postulates that a balance should be established between innovation and customer needs. Sustained innovation leads to the successive improvement of products although it requires resources and independent authorities. Thus, consistent guidelines for innovation should be established on which teams should get empowered. The final chapter on ‘epilogue; waste not’ shows the value of continuous effort and experimentation. The essence of systems is emphasized, with entities established as systems that should be managed both effectively and efficiently. It is prudent that proper organization of workforce is established because waste emanates from majoring on wrong things. Companies therefore ought to reduce waste and spur value-creating processes.